Photography by it’s very nature is an interpretation of ‘reality’, so I find it humorous that there is often such outrage around the authenticity of a picture. Is there any such thing as a ‘true’ image. One of the most legendary photographers ever Ansel Adams himself equates the capturing of photographs like a musical score, and the printing is the performance. “The negative is comparable to the composer’s score and the print to its performance. Each performance differs in subtle ways.” And there are many ways that that performance could be done by an individual. Some photographs can be intentionally misleading in the content however. 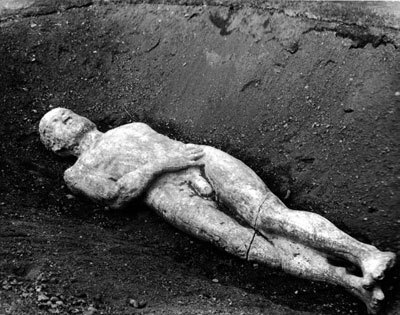 This image below is of a ten foot stone figure that was dug up in Cardiff, N.Y., in 1869. The rumour started that it was the petrified corpse of a prehistoric giant. It latter came to light that it was a gypsum carving and was a hoax perpetrated by a man named George Hull. The photo was taken and then used as ‘proof’ of the giants existence. 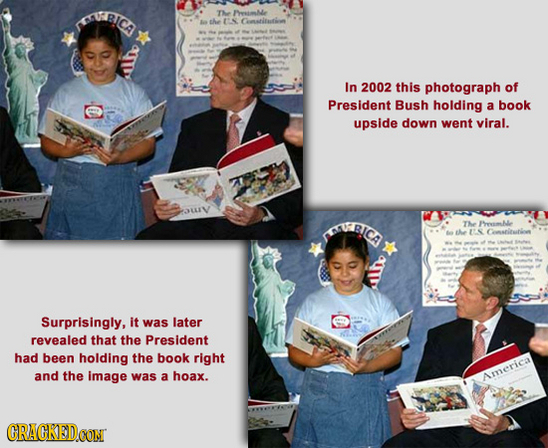 These two images are examples of the lengths people will go to to try and discredit people in power, in this case US presidents. 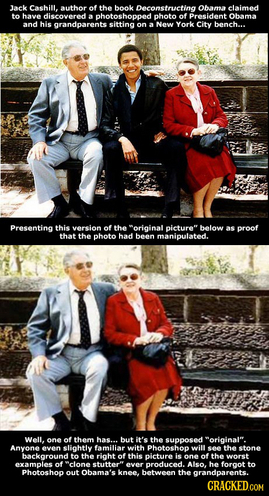 Both images turned out to be manipulated images painting the men as something they are not. This weeks task was to evaluate two images within the theoretical framework of Terry Barrett’s system of criticising photographs. This refers to an image whose job it is is to show something ‘as is’. It could be argued that every photo and no photo is a descriptive one, in that all photography is interpretive; by both photographer and viewer. However, some photographers have tried to take a purist approach when it comes to capturing images, like Walker Evans for example. Evans held the notion that “A still photograph is the illusion of a literal description, of how a camera saw a piece of time and space… I like to think of photographing as a two-way act of respect. Respect for the medium by letting it do what it does best, describe. And respect for the subject by describing it as it is. A photograph must be responsible to both.” Aperture, 112 (Millerton, New York: 1988), p. 53. 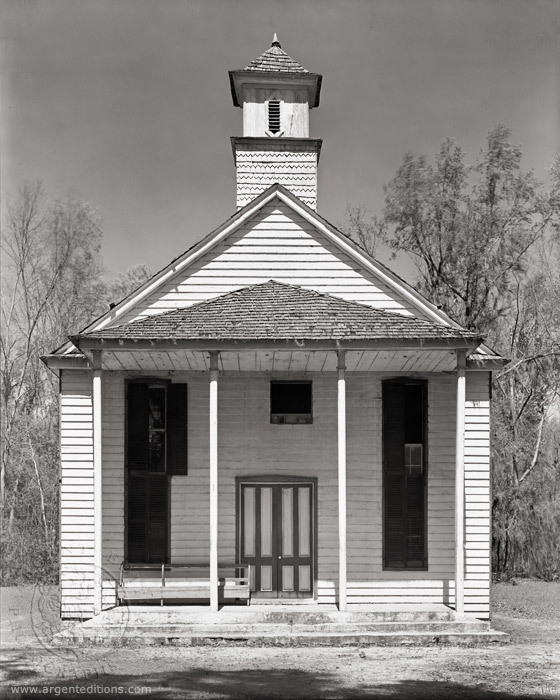 This image below could be seen as simply the church structure that it is, or it can be taken as an example and commentary on the nature of life, religion and race in the south of the United States and all that that invokes and embodies. I suppose it could easily fit into the ethically evaluative category as well; it’s all about interpretation. This refers to an image that makes an ethical judgement in some way about something. 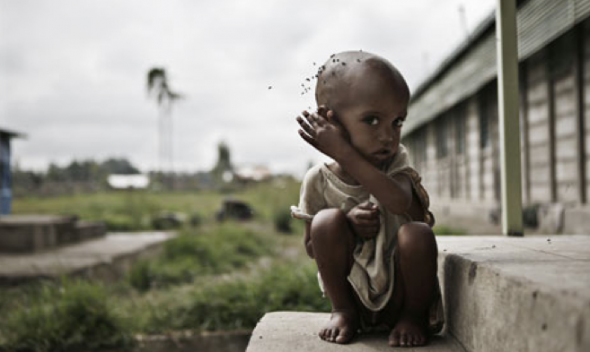 This image from 2008 by Jose Cendon shows a boy in a feeding camp in Ethiopia. This image appeared in the UK Guardian and within this context it’s intent was to evoke feelings of compassion and empathy for the subject as a commentary on the current state of famine in Ethiopia at the time. As Barrettes explains, images such as this one attempt to instil a certain feeling or desire for feeling from the photographer or publication, rather than serve a purely descriptive purpose. 1. 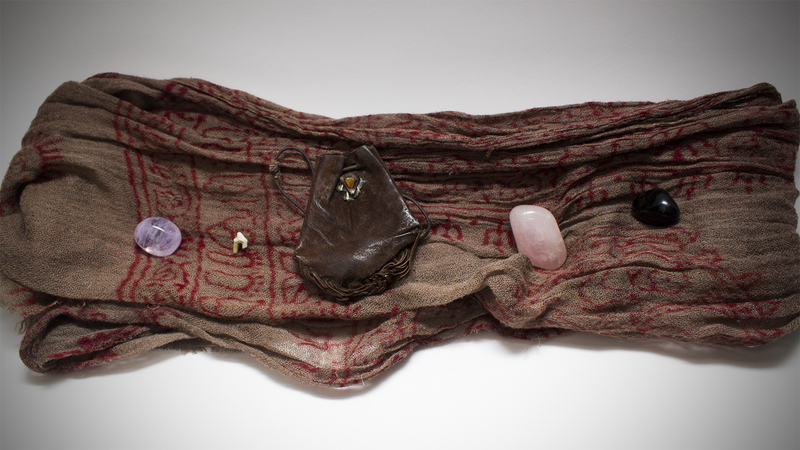 What first inspired you to create this work? 2. How do you think you would describe your style? 3. What is the story behind this work? 4. Have you done any formal photographic study? 5. What do you hope to convey to people looking at your pictures? 6. Do you have a set routine or formula when creating your pictures? 7. Do you set yourself any technical rules? 8. Do you enjoy post-production or capture more? This weeks task was to explore Copyright in a photographic context. I would have to work out where it was they got the picture from and whether it was clear that they couldn’t just take it without permission. If I did not authorise copyright to the clients or anyone else at all then I would first give the person the benefit of the doubt and ask them kindly to remove the picture, or if I was happy to have it there I’d ask them to credit me as the photographer. If they did not follow through with this I would then seek legal advice as to whether my copyright and been breached or not. I would then give them a certain amount of time to remove or credit the photo,and if they didn’t I’d follow up with legal action. Under copyright law I have the legal right to assert my moral rights. I would first ascertain from a lawyer if indeed my copyright had been infringed upon in this situation, and I would take a picture of the photo in the window as proof to show the lawyer. If it was decided that yes my copyright had been breached, and it was I who held the rights to the images, not the couple who had purchased them, I would explain to the shop owner that I did not agree to this scenario, and would they kindly remove the image from the window. I would give them a reasonable time frame, say 48 hours to remove the picture, and advise them that if they did not I was obliged to take it further. If there was a signed contract by both parties as to the usage agreements of the images, then yes I would have legal grounds to seek compensation for this being broken. If not such contract exists and it was only a verbal agreement than I amy not have any leg to stand on. The Copyright Council of Australia “Australian Copyright Council Information Sheet G035v11 Photographs – Copying Photos You’ve Paid For” document says “When you are commissioning a photographer, it is best to put a written agreement in place about who owns copyright and who is entitled to prints and digital files, as well as what each party is allowed to do with these, in order to avoid uncertainties.” So ultimately it would come down to what was written in the contract. This weeks task was to visit an exhibition and make commentary on its presentation. 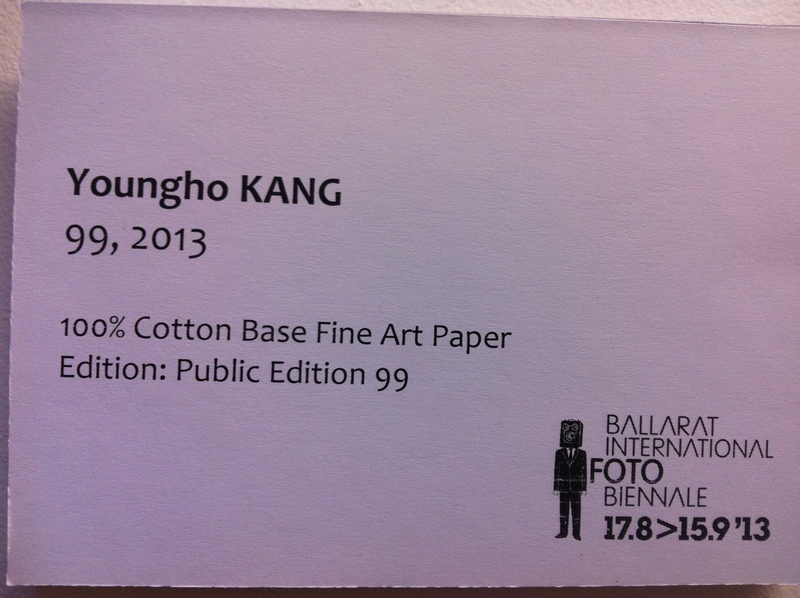 The exhibition I attended was the Youngho Kang exhibit at the Ballarat Biennale. What is here? Describe what you see, how is it laid out? Describe the lighting, size and format of the images, the gallery etc. The exhibition was laid out along two white painted wooden walls, with their backs facing each other. This led you around the space in a nice way. It was housed in a very large, grand old red brick building, with a high roof and large arched windows all the way around up high. The images were lit by strip tungsten lamps. The images were all quite large, but I forgot to get actual measurements, however you can see in the pictures in relation to the wall they’re mounted on that they’re big. Finally describe the images/image in detail, what do you see? The images in this exhibition were awesome; I really enjoyed it. Youngho Kang made powerful, simple self-portraits with a running theme through most of them. Most had white body paint, centred subject, and the same lighting. Muted tones seemed to be used, with a not-quite-black-and-white palette running through. What it is about? Consider its subject matter. Describe your interpretation of what the photographer is trying to say or your opinion of how successful the message is in regards to the artist’s statement. Discuss the technical elements of the images, contrast, focus, density and other composition elements and how this relates to the success of the overall message. I feel like the series is about self-reflection. The images all show a different aspect to Kang’s self; internal and external. Some seem to be about androgyny and his feminine side. Others seem to be telling stories about technology or grotesque things. The singular image above that I have chosen to focus on to me speaks of the dance with our robotic perhaps unconscious or maybe unfeeling selves. He’s looking to make peace with this dance. I think the choice of including the camera in the shots is a strong compositional choice, and speaks to the strong reflective nature of this work. I love the depth of tone in these images; the stripped back colour is awesome and distills it down to its core depth, which for me is humble self-reflection. Is it good? Give your opinion on the work. Is it successful? Be honest, it is far more valuable to you and the artist to be honest, rather than try to impress. I loved this exhibition. For me it was my favourite within the whole festival (not that I managed to see everything). I loved the large printed format. To me it is totally successful, and so interesting to look at. The self-portrait theme is awesome, and rendered so strongly by Kang with the choices of makeup, costume and titling. I thoroughly enjoyed his work. 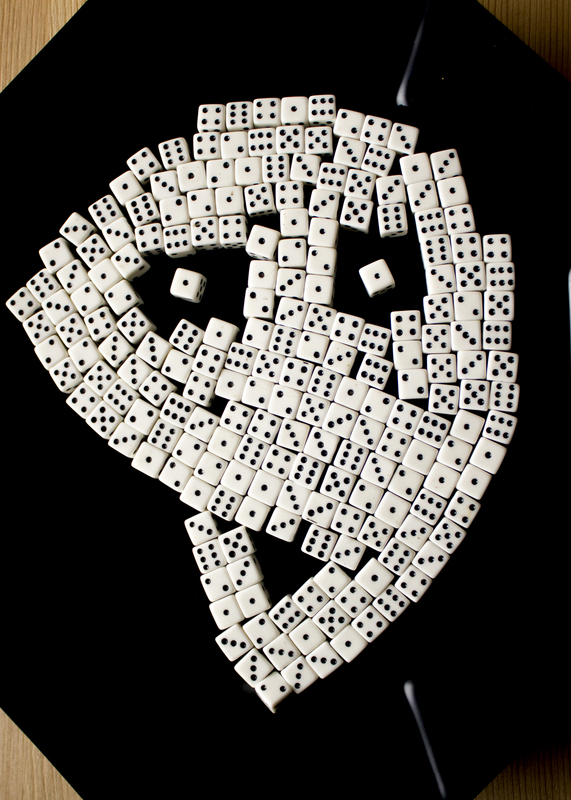 Here is my Gestalt Portrait made from miniature dice. When thinking about the creation of this image I had in mind a face, but more of a skull type face instead of a happy face. I chose the dice mainly because they were the only miniture object around the house that I had many of. Now that I think about it however, I like the symbol that they represent. Dice to me symbolise chance, gambling, luck and fun. To create a gestalt portrait out of them to me suggests a character that is chancy, perhaps frivolous, flighty, jokey and risk taking. I like the cheeky smile on the characters face, almost suggesting a little ‘ooh!’, like something naughty as just happened, or they’re thrilled by some little surprise. I enjoyed the process of creating this image, and wished I had of had different coloured dice to fill in the eyes and the mouth.